This entry was posted in FAB Beauty, FAB Company, FAB Fashion, FAB Fitness, FAB Fragrance, FAB Health, FAB Holiday Home, FAB Nutriton, FAB Skincare, The FAB Company and tagged Beauty Blogger, Beauty Expert, Bloggers, cosmetics, FAB Skincare, Kim Davies, The fab company. Bookmark the permalink. 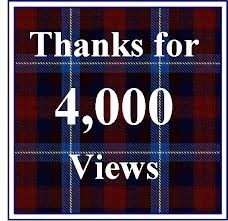 4 Responses to The Fab Company reaches 4,000 views!